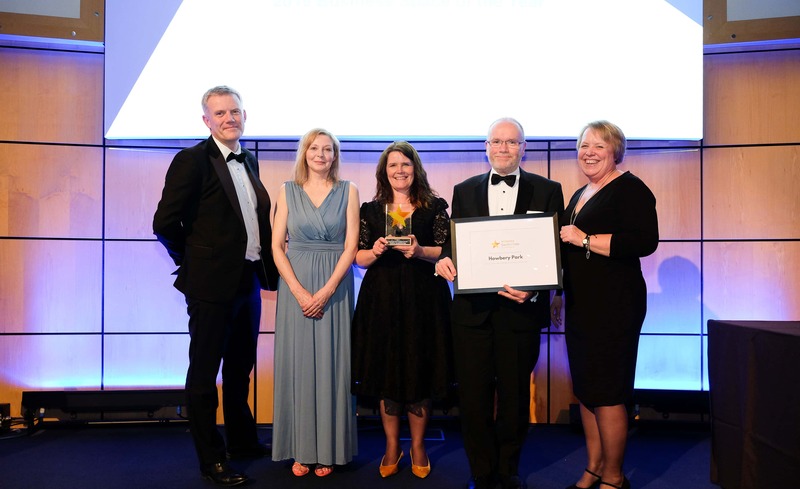 Howbery Business Park has been named Business Space of the Year at an awards ceremony for the South and Vale Business Awards held at the Williams F1 Conference Centre in Grove on Friday 15 March, hosted by Luke Smith from Heart’s Drivetime. The event is the first time both South Oxfordshire and Vale of White Horse District Councils have held the joint awards. 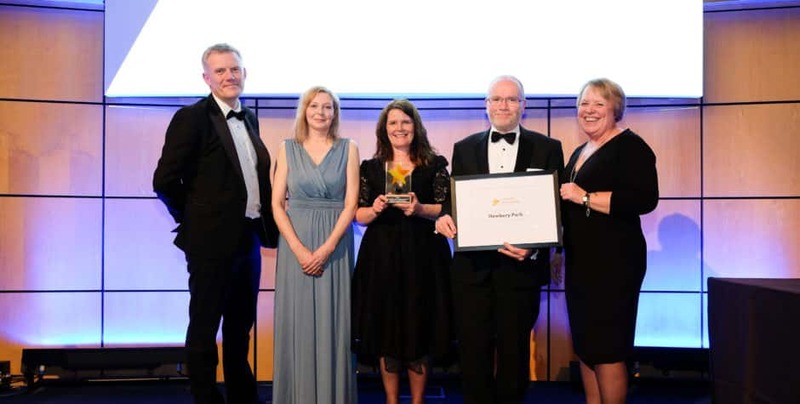 The judges selected Howbery Park for the Business Space of the Year award because of the park’s environmental initiatives, and the activities it runs which encourage a community feel to the park. Howbery Park-based HR Wallingford received the Established Innovation Award for its expertise and innovation in flood and water management, and development of the ARC-Boat survey vessel. Park tenants, Jonas Event Technology, were also a finalist in the SME of the Year category for South Oxfordshire. Set in a landscaped park, adjacent to the River Thames, Howbery Business Park is the UK’s first solar-powered business park, and generates about a quarter of its energy needs from the adjacent solar farm. The park has a diverse range of tenants from small family-run enterprises to large corporate tenants such as the Environment Agency. In recent years, the park has developed diverse habitats in its grounds, established two new bee colonies, and has created allotments for use by the park community.